This Woodmen of the World Health Insurance Society Review will discuss the company Woodmen of the World and what they offer in terms of insurance, annuities, and investment opportunities. This organization is made up of members who are committed to their country, community, and primarily family. Life insurance and annuities are big focuses of the organization but they also offer some health-related insurance products. You can search for and compare health insurance rates right now just by filling in your zip code. 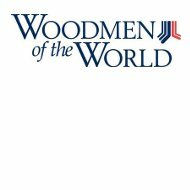 Woodmen of the World has been around for over 120 years and is a fraternal benefit society. It is the largest one with open membership in the country and its purpose is to help those in need, not only through the products that they offer but also for those in the community who need help. The members of Woodmen of the World are committed to family values and focus on volunteering in the community to make it a better place for everyone. The mission of the society is to benefit the members in all areas and stages of their lives. Their vision is to be a trusted provider of financial services and offer valuable member programs and benefits. Most of the insurance products related to health that the society offers are supplemental to traditional health insurance. The product that Woodmen of the World offers directly is cancer insurance. This insurance helps cover you if you are diagnosed with cancer and takes care of expenses that health insurance does not cover. This insurance consists of paying you a lump sum of money when you are first diagnosed with cancer. The amount you receive is a pre-determined amount that you decided on when you first bought the insurance. The other health related products that you can get through Woodmen of the World are offered through outside insurance providers. When you meet with your representative from Woodmen of the World, he or she can direct you to the best company for what you are looking for. One of the types of insurance available from others is major medical insurance. This is a type of insurance that is a good choice for the self-employed or if your company does not offer health insurance. Major medical provides broad coverage for a number of medical expenses. Critical illness insurance is another insurance product that is offered. This type of insurance pays you money after you have been diagnosed with a serious illness. The money is paid in one lump sum and you can spend it on whichever you choose. One of the big products offered from Woodmen of the World is life insurance. Life insurance is considered one of the foundations for financial security and it can be used to provide an income, pay off debts, or for funeral costs. The types of life insurance that are offered include whole life insurance, term life insurance, and universal life insurance. Woodmen of the World also offers family term life at a cost that is affordable. This insurance is not offered by all insurance companies and it covers the whole family, consisting of all children and up to two adults. The financial and investment products are offered through Woodmen Financial Services. They offer a number of mutual funds as well as college savings plans to help you save money for your children’s future education. When you buy financial products from a company, you want to make sure that the company itself is financially stable. A.M. Best has consistently given Woodmen of the World a superior rating of A+. If you enter your zip code right now, you can compare health insurance quotes for a number of different companies. There isn’t an agent in our area, 2nd I lost my 56-year-old husband and I cannot collect my life insurance, nor can I find a site to leave a message or find a phone number that is willing to help me in this time of sadness! I NEED HELP! Using your phones is like talking to voicemail, not a real person. I have had it!